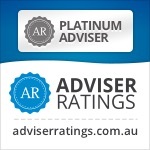 In the following weeks I will review the effects of Government Superannuation Reforms for SMSF Trustees. To start, we will review the use of re-contribution strategies because for some SMSF members, action will be required before 1 July 2017 to maximise benefits. Seek personal advice before implementing any strategy. The re-contribution strategy has been popular from both a retirement and estate planning perspective to manage tax outcomes for retired members under 60 and beneficiaries on death of a member. The net benefit of re-contribution has usually been determined against any value that could alternatively be derived from any anti-detriment payment to eligible beneficiaries. • reducing the Non Concessional Contribution (NCCs) cap to $100,000 ($300,000 using 3 year bring forward rule. • introduction of the new $1.6m transfer cap applicable to existing and new pensions. For some SMSF members the reduction to the annual NCC cap may reduce the maximum benefit available under the re-contribution strategy. However, a number of other changes may actually increase the benefit of re-contribution strategies. The re-contribution strategy involves withdrawing an amount from an SMSF member’s balance and making a non-concessional contribution (NCC) back in to the SMSF in the same or another member’s name. This effectively enables any taxable component of the lump sum withdrawn to be converted into tax-free component paying nil tax. Before you can use the strategy, the SMSF member needs to have met a full condition of release to be eligible to make lump sum withdrawals. The person must also be eligible to make NCCs from both work test perspective and contribution cap limit to allow a re-contribution of the funds. We normally suggest using this strategy after reaching age 60 and before age 65 because if this strategy is implemented by a person who is 60 or over, any withdrawal is received tax free and not included in income. If the SMSF member is aged between preservation age and age 59, withdrawals from the tax-free component are tax-free, while any taxable component within the low rate cap (LRC), currently $195,000 for 2016/17, is effectively taxed at 0%. Amounts above the LRC are taxed at 15% plus Medicare Levy. These tax concessions are integral to the overall dollar benefit of the strategy. reduce the tax to be paid by non-tax dependant beneficiaries (usually financially independent adult children) on any death benefit lump sum after the member passes away. Michael, a widower, (aged 58) has $700,000 in SMSF account. The tax components of his account are split 50:50, meaning that $350,000 of the account is taxable and $350,000 is tax-free. He has fully retired and therefore has complete access to his super benefits. Michael has two adult children, his daughter Carmel and son Sebastian (neither of whom are financial dependents). Michael has a valid non-lapsing binding death benefit nomination in place in favour of them equally. If Michael passed away today, $350,000 of his super benefit which is attributable to the taxable component would be subject to tax at a maximum rate of 15% plus Medicare Levy as Carmel and Sebastian are not tax dependants. Michael could use the re-contribution strategy which may give a better outcome for the kids from a tax perspective saving up to $59,500 ($350,000 x 17%). In addition, assuming Michael has other taxable passive investment income outside super, if Michael was to start an account based pension, a re-contribution strategy could also help him to reduce tax payable on his income stream from the SMSF pension payments until he reaches age 60. From 1 July 2017 the lowering of the annual NCC cap from $180,000 to $100,000 reduces the maximum benefit which may be derived from the re-contribution strategy by limiting the amount that a member can re-contribute to their SMSF. Further, the reduction of the annual cap means that the maximum contribution available under the bring-forward will reduce to $300,000. A member who is eligible to trigger the bring-forward in 2016/17, or who triggered it in the 2015/16 financial year, can contribute up to the full $540,000 by 30 June 2017. However, a person who does not fully utilise their available balance of $540,000 by this date will be constrained from 1 July 2017 in respect of their ability to make further NCCs, by the new ‘transitional’ NCC rules. 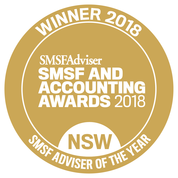 Where the re-contribution strategy is appropriate, SMSF members should consider implementing and finalising the strategy before 1 July 2017 to maximise the benefit of the strategy. See my earlier blog for more detail on how much you can contribute using the 3 year bring forward rule. re-contributions whereby one member of a couple makes a withdrawal from their SMSF account and contributes into their spouses member account may become attractive to the extent that it would enable them both to maintain a member account balance of less than $1.6m, potentially preserving future eligibility to make NCCs. for existing pensions, be commuted back to the member’s SMSF accumulation account or withdrawn from the SMSF prior to 1 July 2017. A re-contribution strategy where one spouse makes a lump sum withdrawal and contributes the amount into their spouse’s account may also allow the couple to collectively hold more of their wealth in tax-effective superannuation pensions. Ordinarily one spouse with a large amount held in an account based pension would otherwise be required to commute the excess amount to accumulation phase or cash it out of superannuation. When deciding whether to use a re-contribution strategy, it’s important to consider each member’s personal circumstances, as well as any implications the re-contribution strategy may have on their broader situation. Withdrawing money from the taxable component before age 60 will increase the member’s taxable income, even though no tax will be payable on taxable amounts up to the LRC (which is $195,000 in 2016/17). This is because even through the effective tax rate on an amount withdrawn from the taxable component up to the LRC is nil, the amount is still included as income on the individual’s tax return. It is via the application of a tax offset that the tax payable on the withdrawal within the LRC is reduced to nil. taxable income, such as the low-income tax offset, Medicare levy and surcharge and Family Tax Benefit. A popular Centrelink strategy involves a person who is of Age Pension age cashing out some of his/her super and having the money contributed in the SMSF member account of their spouse who is below Age Pension age. This strategy can enable the older spouse to get more Age Pension, as super in the accumulation phase is not means tested when held in the name of a person under Age Pension age. It can also enable taxable money to be converted into tax-free money and may result in a Government co-contribution or spouse tax offset. If the aim is to make pension income more tax-effective before age 60, it is essential to consider whether any tax would actually be payable on the pension payments without re-contributing. Between preservation age up to age 59, it is possible to receive taxable income payments from a superannuation pension of around $49,750 (in 2016/17) without paying any tax, when the 15% pension tax offset and low-income tax offset is taken into account. This assumes the payments are made from a taxed super fund and no other taxable income is received. This would ensure that a member does not utilise their NCC cap and available bring-forward unnecessarily.